KAFP supports expanding the number of Medicaid beneficiaries to include adults earning up to 133 percent of the federal poverty level. KAFP supports the development of joint regulations on APRN licensure, discipline, regulation and scope of practice, between physicians with Board of Healing Arts, and APRNs with the Board of Nursing. KAFP supports legislation that ensures adequate payment for primary care services, including increasing the percentage of the overall healthcare spend in primary care which has been proven to decrease the overall cost of healthcare. 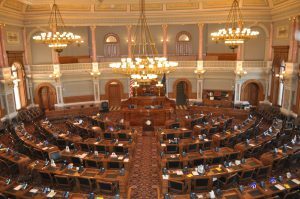 KAFP supports legislation to provide adequate funding for graduate and undergraduate medical education for family medicine, including full funding for the Kansas Medical Student Loan Program, the KU Scholars in Rural Health program and other initiatives encouraging students to enter family medicine. KAFP supports public health efforts to increase immunization rates, reduce smoking and tobacco use, raising the age for tobacco use to 21, decrease obesity and encourage healthy lifestyle changes. KAFP supports public health efforts to address opioid abuse and treatment. KAFP supports activities, programs and legislation to encourage physicians to practice in rural and underserved areas, and to retain their services once established there. KAFP supports legislation that addresses access to affordable health care for all Kansans based on the model of a “patient-centered medical home” that is directed by a primary care physician. KAFP supports legislation that would reduce administrative delays and redundancy, such as streamlining prior authorizations and advancing electronic health records. 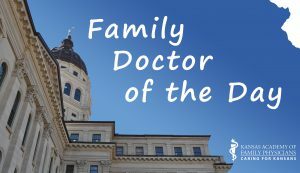 KAFP supports legislative and regulatory efforts to ensure that the term “doctor,” when used in the clinical setting, also includes the degree (i.e., MD, DO, DNP, DPT, PhD for psychologists, etc.) used to obtain licensure to practice. Furthermore KAFP supports retention of the use of the word “physician” for only doctors of allopathic and osteopathic medicine. 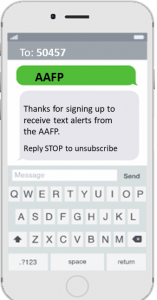 Sign up to receive text alerts from the Family Medicine Action Network. 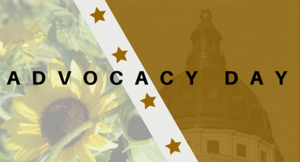 Receive links to Speak Out’s and grassroots advocacy actions! Learn more about the Family Medicine Action Network. Giving to FamMedPAC has never been easier! 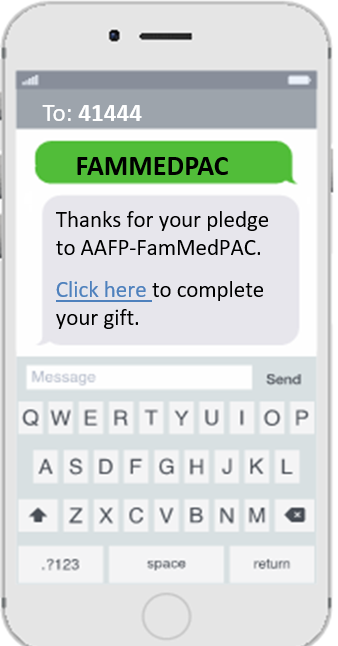 Text “FAMMEDPAC” to 41444 to receive a link to donate right there on your phone.